With a nation seemingly more divided than ever, many worry that Americans risk losing ground on solving the complex, interrelated problems the country faces - including rising inequality, the specter of climate change, astronomical health care costs, and economic stagnation. 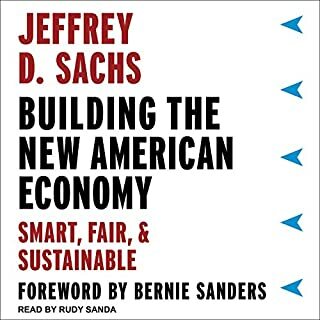 The renowned economist Jeffrey D. Sachs offers a practical approach to move America toward a new consensus: sustainable development. This landmark exploration of prosperity and poverty distills the life work of an economist Time calls one of the world's 100 most influential people. Sachs's aim is nothing less than to deliver a big picture of how societies emerge from poverty. To do so he takes listeners in his footsteps, explaining his work in Bolivia, Russia, India, China, and Africa. A New Foreign Policy explores both the danger of the "America first" mind-set and the possibilities for a new way forward, proposing timely and achievable plans to foster global economic growth, reconfigure the United Nations for the 21st century, and build a multipolar world that is prosperous, peaceful, fair, and resilient. Over the last century, global poverty has largely been viewed as a technical problem that merely requires the right "expert" solutions. Yet all too often, experts recommend solutions that fix immediate problems without addressing the systemic political factors that created them in the first place. Further, they produce an accidental collusion with "benevolent autocrats", leaving dictators with yet more power to violate the rights of the poor. 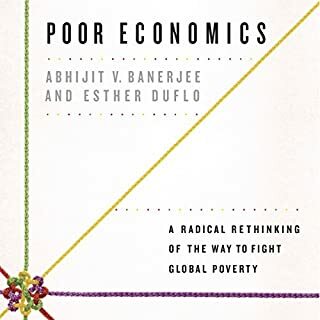 By the winner of the 1988 Nobel Prize in Economics, an essential and paradigm-altering framework for understanding economic development - for both rich and poor - in the 21st century. Freedom, Sen argues, is both the end and most efficient means of sustaining economic life and the key to securing the general welfare of the world's entire population. Releasing the idea of individual freedom from association with any particular historical, intellectual, political, or religious tradition, Sen clearly demonstrates its current applicability and possibilities. Imagine if every month the government deposited $1,000 into your bank account, with nothing expected in return. It sounds crazy. But it has become one of the most influential and hotly debated policy ideas of our time. Futurists, radicals, libertarians, socialists, union representatives, feminists, conservatives, Bernie supporters, development economists, childcare workers, welfare recipients, and politicians from India to Finland to Canada to Mexico - all are talking about UBI. Visionary physicist Geoffrey West is a pioneer in the field of complexity science, the science of emergent systems and networks. The term complexity can be misleading, however, because what makes West's discoveries so beautiful is that he has found an underlying simplicity that unites the seemingly complex and diverse phenomena of living systems, including our bodies, our cities, and our businesses. Paul Collier reveals that 50 failed states - home to the poorest one billion people on earth - pose the central challenge of the developing world in the 21st century. The book shines much-needed light on this group of small nations, largely unnoticed by the industrialized West, that are dropping further and further behind the majority of the world's people, often falling into an absolute decline in living standards. 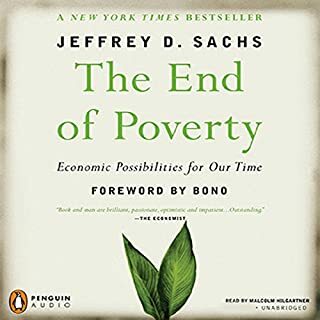 From one of the world's greatest economic minds, author of the New York Times best seller The End of Poverty, a clear and vivid map of the road to sustainable and equitable global prosperity - and an augury of the global economic collapse that lies ahead if we don't follow it. The Upcycle is the eagerly awaited follow-up to Cradle to Cradle, the most consequential ecological manifesto of our time. Now, drawing on the lessons gained from 10 years of putting the cradle-to-cradle concept into practice with businesses, governments, and ordinary people, William McDonough and Michael Braungart envision the next step in the solution to our ecological crisis: We don't just reuse resources with greater effectiveness, we actually improve them as we use them. A "must read" for the environmental movement. 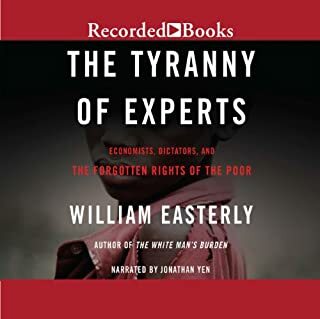 In his previous book, The Elusive Quest for Growth, William Easterly criticized the utter ineffectiveness of Western organizations to mitigate global poverty, and he was promptly fired by his then-employer, the World Bank. The White Man's Burden is his widely anticipated counterpunch - a brilliant and blistering indictment of the West's economic policies for the world's poor. In the last few years, China's aid program has leapt out of the shadows. But China's tradition of secrecy about its aid fueled rumors and speculation, making it difficult to gauge the risks and opportunities provided by China's growing embrace. This well-timed book, by one of the world's leading experts, provides the first comprehensive account of China's aid and economic cooperation overseas. Deborah Brautigam tackles the myths and realities, explaining what the Chinese are doing, how they do it, how much aid they give, and how it all fits into their "going global" strategy. The 2018 Nobel laureate for economics analyzes the politics and economics of the central environmental issue of today and points the way to real solutions. The Price of Civilization is the blueprint for America’s economic recovery. It is also the story of how America can and must restore the virtues of fairness, honesty, and foresight as the foundations of national prosperity. 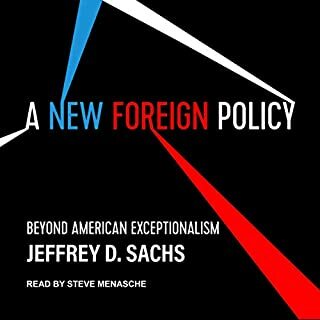 As he has done in dozens of countries around the world in the midst of economic crisis, Sachs turns his unique diagnostic skills to what ails the American economy. 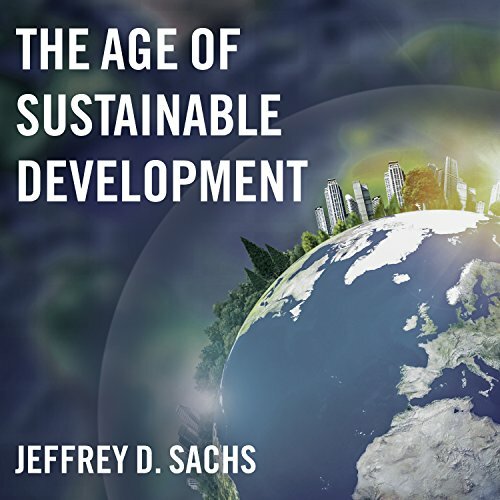 Jeffrey D. Sachs has shown himself to be one of the world's most perceptive and original analysts of global development in his groundbreaking books, including The End of Poverty and Common Wealth: Economics for a Crowded Planet. Now, in this major new work, he presents a compelling and practical framework for how global citizens can address the seemingly intractable worldwide problems of persistent extreme poverty, environmental degradation, and political-economic injustice. Sachs outlines the holistic way forward: sustainable development. This provocative work offers listeners, students, activists, environmentalists, and policy makers the tools, metrics, and practical pathways they need to achieve sustainable development goals. Far more than a rhetorical exercise, this book is designed to inform, inspire, and spur action. Based on Sachs' 14 years as director of the Earth Institute at Columbia University and as special advisor to the United Nations Secretary-General on the Millennium Development Goals and Sustainable Development Goals, The Age of Sustainable Development is a landmark publication and a clarion call for all who care about our planet and global justice. Although the Audible claims to be "unabridged" it skips all of the discussion of figures. And since the figures and graphs are a large part of this book, audible is missing too much. I know this because I bought the book as well. Sachs offers a really astute assessment of the global situation. He is optimistic (perhaps delusional) about humanity's capacity to pull back from the brink of self-annihilation. However, he acknowledges that we need some major global changes to make any real progress -- what I don't see is how we can make any of that progress. This is always the climate change problem: the assessment of the situation is accurate and acute, but the idiots who have the power to act are so busy greasing their palms that they don't act. Sigh. I really like how Sachs puts together economic development, social inclusion, and sustainability. This cluster makes so much sense it almost hurts. He's not the first to do this, of course -- Naomi Klein in her radical left-wing way and Brian McLaren in his theological way have both gone before -- but Sachs has the credibility of the economist (do economists have credibility???) and of someone who has been working to make a significant difference in the lives of the poor. 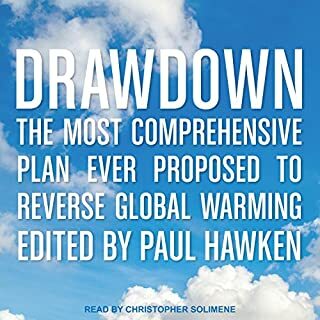 if you care about the survival of the human race in The Next Century you definitely need to listen to this book. Essential, encyclopedic framework for global sustainability. Slightly dated, but offers comprehensive context for the issues and sets the stage for UN Sustainable Development Goals. Reader made the journey enjoyable.